During my recent trip to Phuket, Thailand, I noticed how a handful of global brands had penetrated deeply into remote areas of the island. It made me think: What is it about brands that makes people remember their product? Can learning professionals model some of the tactics used by brands to help employees remember important concepts? First and foremost, brands make sure their names are everywhere. 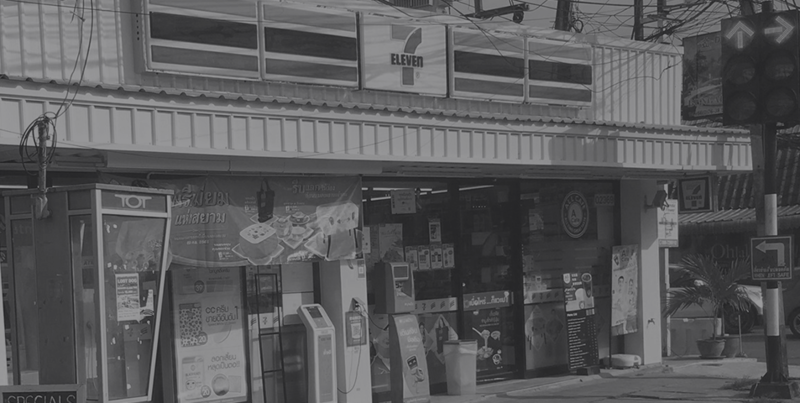 On a 40-minute drive through a host of small villages, I saw at least 10 stores with the 7-Eleven signage out front. Brands seem to grab your attention on a fairly regular basis. Most people are unaware of the strategy behind the many billboards and business signs they see along the road. But brands are intentionally placed with enough frequency to ensure that their recurrent images become fixed in the viewer’s memory. And that’s exactly what learning professionals have known for years about the human brain. Memory formation is improved vastly when a concept is presented on a recurrent basis. We know this repetition is far more effective than a single exposure. So, if we really want people to remember something, we need to take a page from our friends in brand development. Take the key concepts — the core few that truly need to be remembered — and find ways for them to be present everywhere. All of these are quick ways to build brand awareness into your learning program. Remember … learning is a process, not an event. By creating multiple encounters with your curriculum, you will help your organization to learn and be effective instead of merely providing training for people to consume. One more wonderful thing we can learn from brands: they don’t ask you to remember a lot of stuff about them. Taking another page from the brand playbook, make sure you avoid the all-too-common information dump in your curriculum. For information-rich material, consider a more effective performance-support approach for people to find answers instead of memorizing ‘the phone book.’ After all, even the Yellow Pages doesn’t expect you to remember what’s on page 237 — just its memorable logo.